An attractive circa 1910 inlaid Edwardian ladies chair. 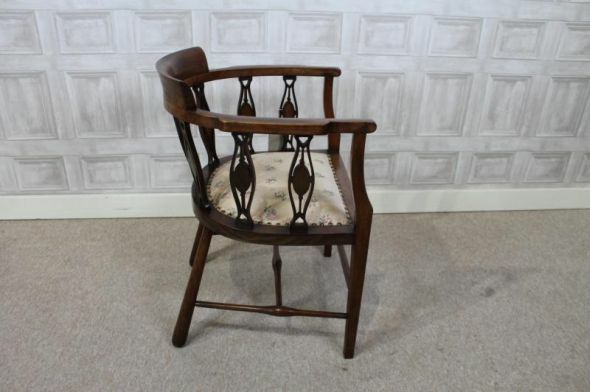 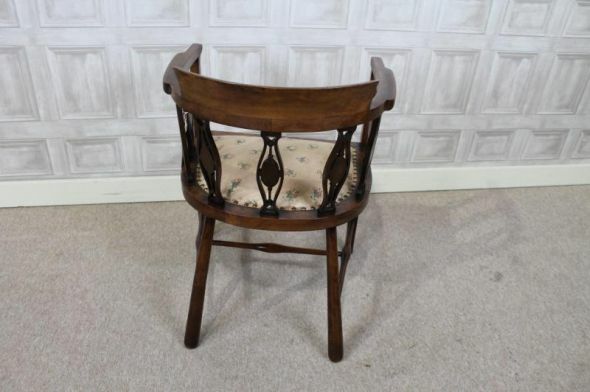 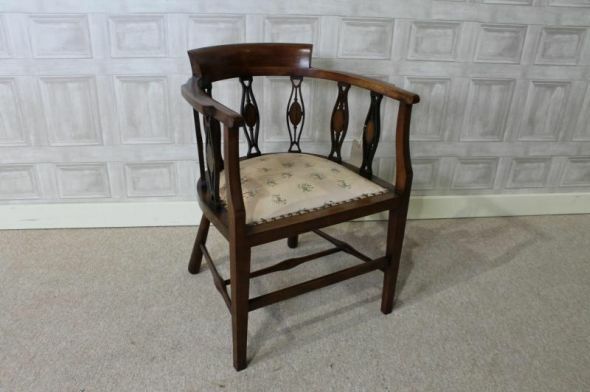 This Edwardian ladies mahogany parlour chair has an attractive slatted back design and features a curved top rail. 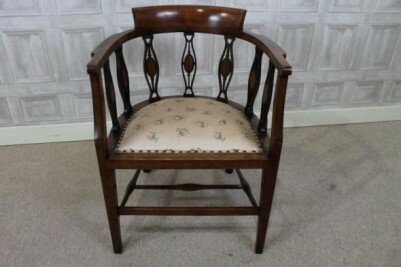 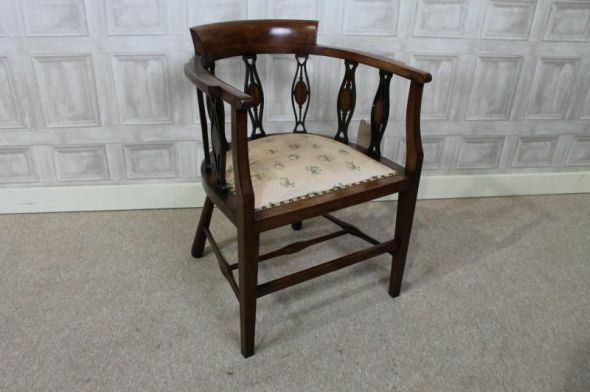 In lovely condition, this chair is a beautiful and decorative piece of furniture for any period property.